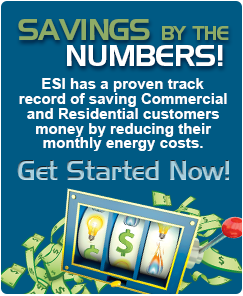 Acri « Energy Savers, Inc.
Acri Commercial Real Estate Customers, Friends, and Family, with residential service in Pennsylvania, New Jersey, and Texas can now lock-in a fixed price for residential service through ESI’s Residential Electricity Savings Program! Simply click on the “SIGN UP” button below and enter your zip code to view current prices available in your area. Sign-up is easy and can be completed online or by contacting us. Once enrolled, you will continue to receive a single bill from your Utility, but at the supplier’s discounted rate. The entire program is designed to simplify a complicated selection process and avoid the confusion of shopping or being pressured by sales people.